As if our every-day airport shuttle rates weren’t good enough, here’s how you can get an even better deal on your ride to and from the Denver Airport! Groups of three or more receive $13 off per passenger, every day, year round! Kids under 12 ride for 1/2 Price! Skiing in Breckenridge or anywhere in Summit County is a family vacation! All children riding with an adult ride for half price! Have an event in Breckenridge, Summit County or anywhere in the Colorado Mountains? Summit Express will put together a custom pricing package for your group. 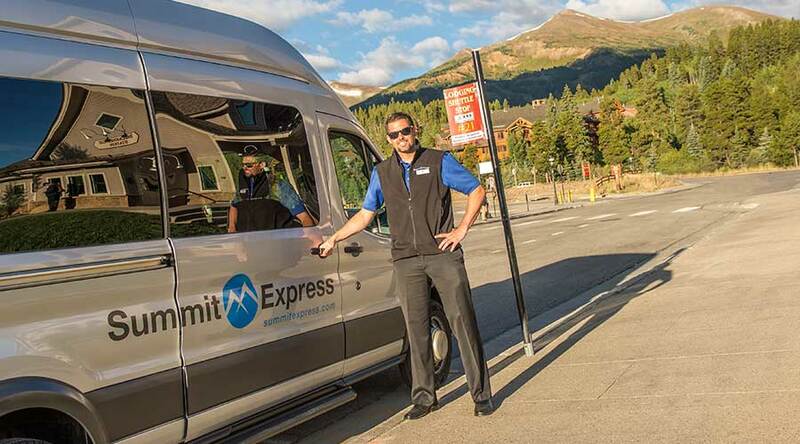 For special group rates and information, call Summit Express at 855-686-8267 or 970-668-6000 and ask for a Summit Express Group Sales Professional.